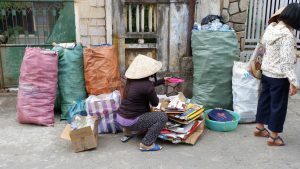 After a month of promotion and implementation, the “reducing, collecting, separating and recycling” model for domestic waste in An Hai Dong Ward has shown positive signals. The majority of households actively engaged in the model by collecting recyclable waste separately. On a weekly basis, Mrs Ca, responsible for the Women Union of the Civil group 4C and core members visited each family not only to promote the model and collect recyclable waste but also to collect data from families which had already participated in selling the waste. In order to optimize the model, a recyclable waste buyer would accompany the group to supporting in measuring and transporting the waste to collecting point, preventing domestic trash from accumulating. Additionally, a number of families have pioneered in composting bio trash for household gardening. 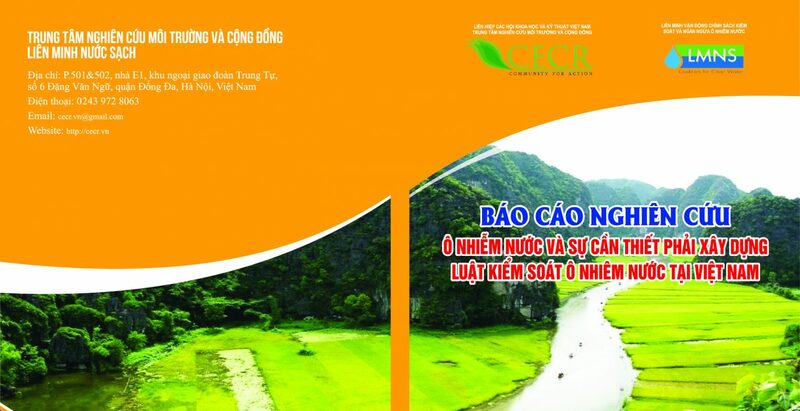 All the activities aims at decreasing the amount of trash collected, thus, reducing the pressure on Khanh Son Landfills. The Landfills has shown overloading signs while no feasible solution has been announced. The core group in the Civil Group 4C has been established according to the Decision no.216/QĐ – UBND An Hai Dong Ward. The model is in testing phase and expected to be expanded all over Son Tra district. The model “Reducing, collecting, separating and recycling” is part of the “No plastic Ocean” project from CECR, aiming at recycling, collecting trash for a healthier community and greener Da Nang city.